The anti-smuggling strategies adopted by the command have enhanced legitimate trade along the Lagos – Abidjan corridor without compromising national security. Rejoice and be glad, that all Seme border criminals have been sent packing. Nigeria’s border with Benin Republic has become safe again. If you had any business along that route and used to worry about the bandits, worry no more. You shall never see them again. This is because the Nigeria Customs Service has chased all of them away. 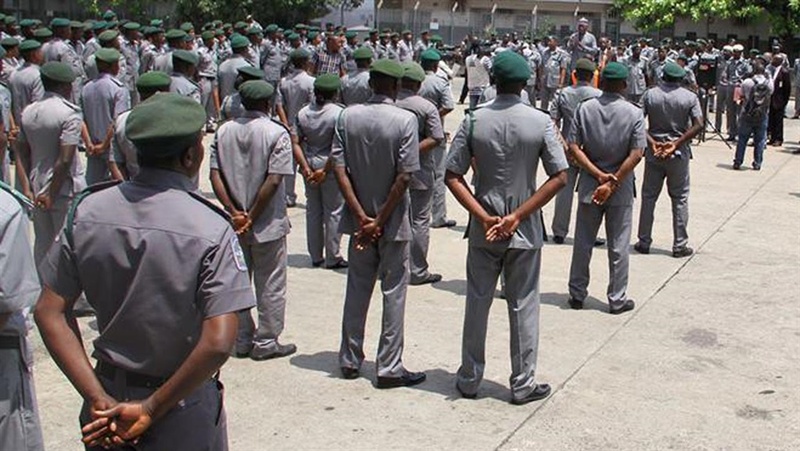 Still, the Area Controller, Nigeria Customs Service, Seme Border, Mohammed Aliyu, continues to warn that Seme would never be a haven for illicit activities and trans-border crimes. He said any attempt by people to flout the laws would be met with stiff response and penalties from the officers and men of the command’s anti-smuggling unit. A statement from the Public Relations Officer, NCS Seme Border, Mr. Taupyen Selchang, indicated that Aliyu gave this warning while inspecting the seizures made by the command in March. Aliyu was quoted to have said that the new intelligent-driven operational strategies adopted by the command were yielding results and cases of non-compliance had reduced to the barest minimum. The statement noted that the command’s enforcement unit intercepted 6-million-naira worth of contraband between February and March. The anti-smuggling strategies adopted by the command, according to Aliyu, have also enhanced legitimate trade along the Lagos – Abidjan corridor without compromising national security. This has resulted in improved revenue for the government as the command generated 1.07 billion naira in the first two months of 2018, representing 80% of its target of 1.35 billion naira.